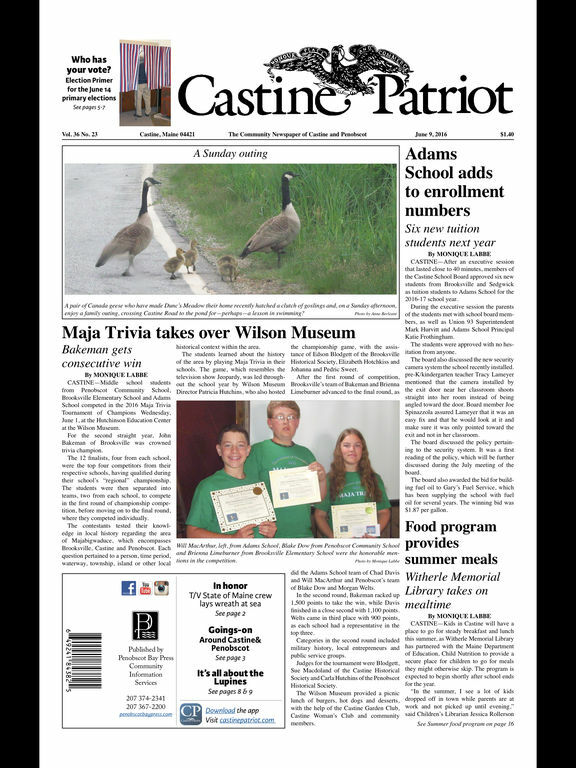 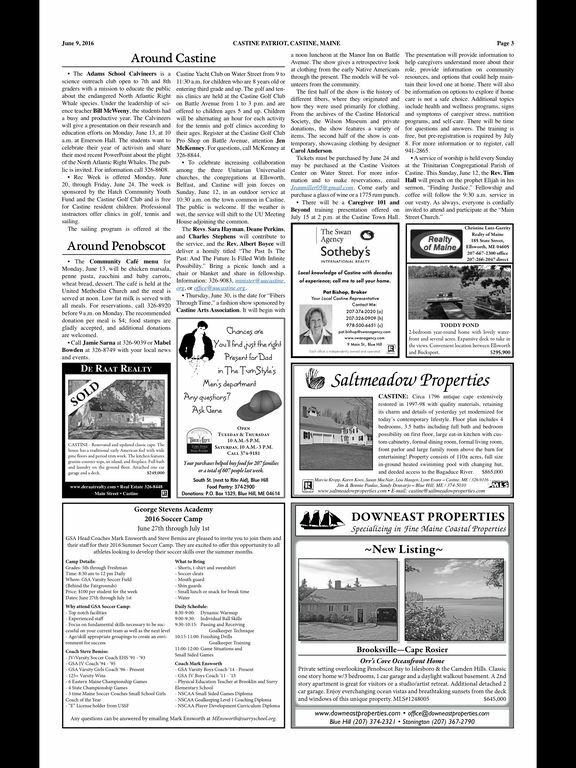 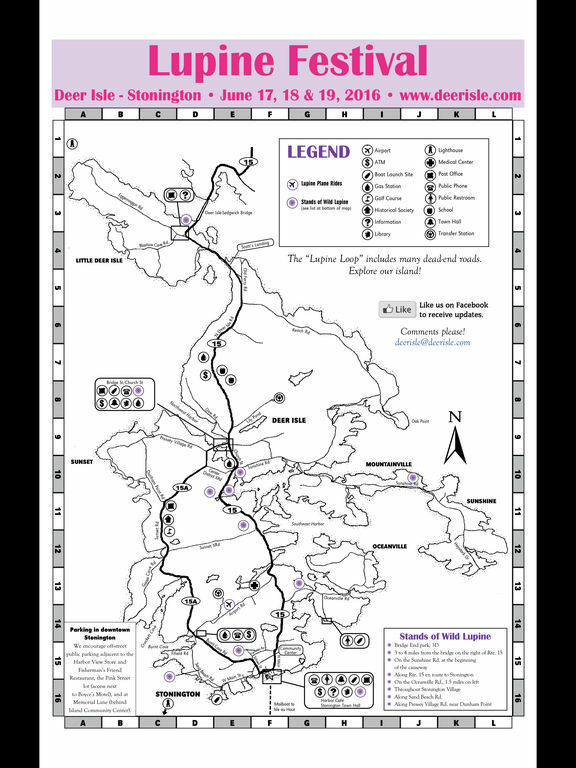 The Castine Patriot, founded in 1980, is a comprehensive source of information about the communities of Castine and Penobscot, Maine. 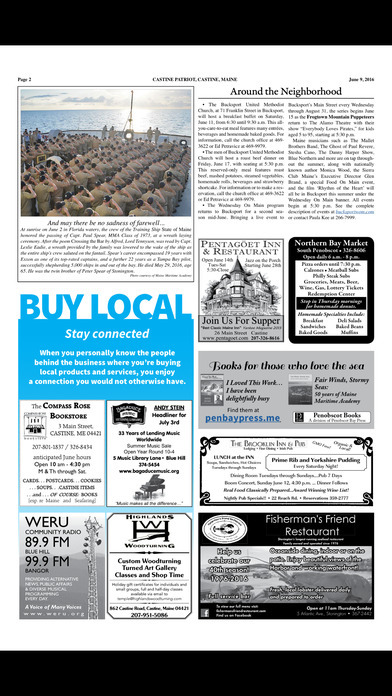 With a history dating back to the early 1600s, the town of Castine is home to the renowned Maine Maritime Academy, a vibrant deep-water harbor while both towns support historical and cultural organizations that promote their long and varied history. 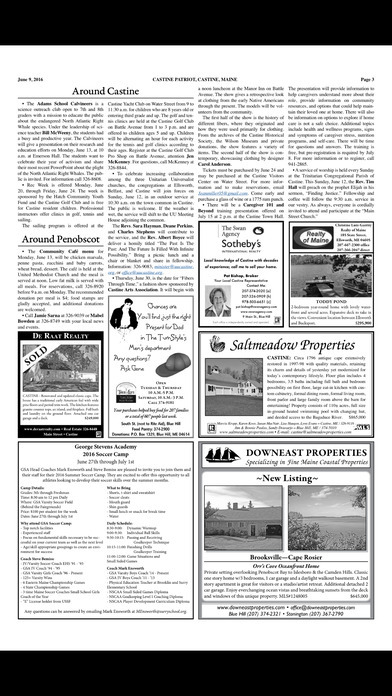 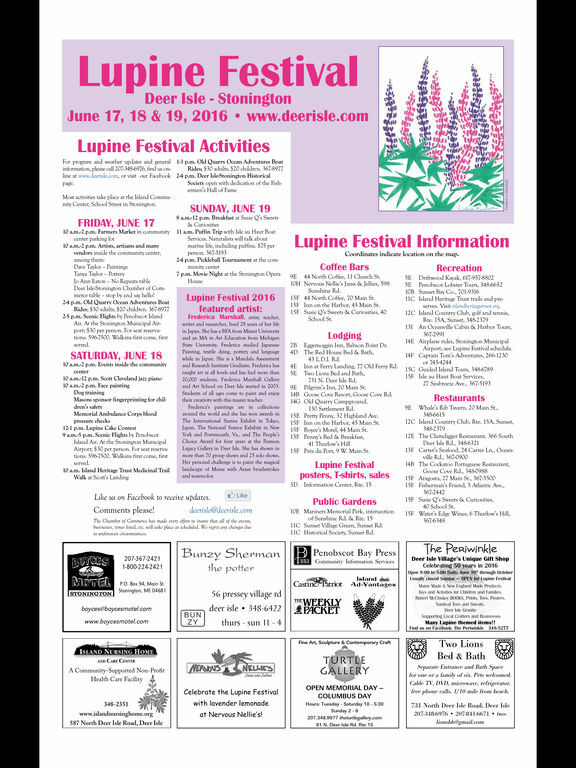 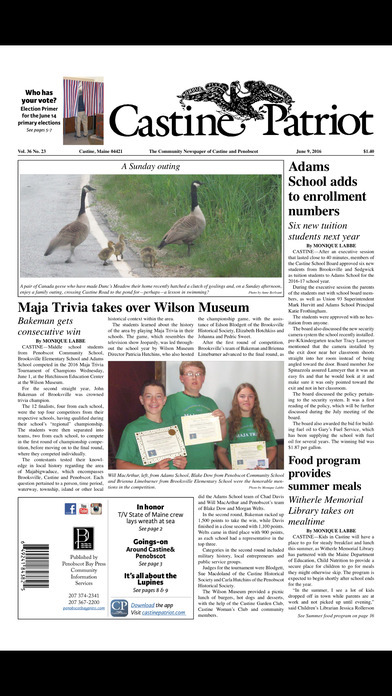 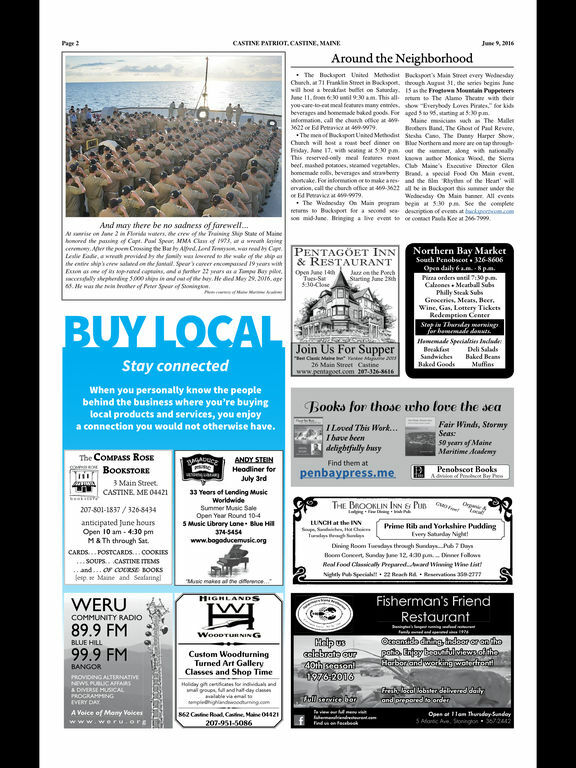 The Castine Patriot shares the stories and the important news that shapes Castine and Penobscot, with a particular focus on the people and institutions that make the community a special place to be.